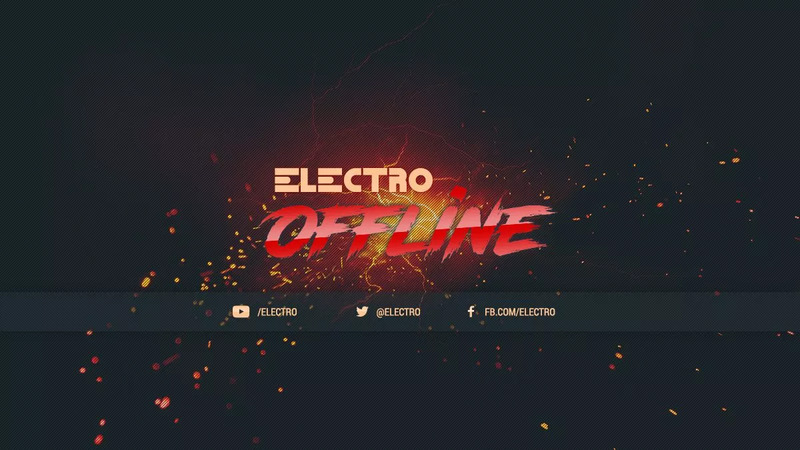 Add some electric energy to your stream overlay with Electro Junkie Stream Package. This package includes layout presets and modular elements so you can go all out, or show off just a little. 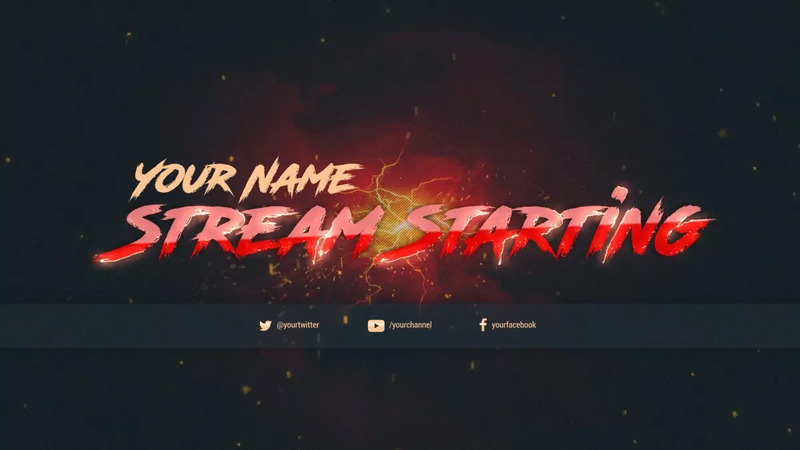 Alerts work with StreamLabs and Muxy. Please note that the alert pack is only available in English at this time. Easily adaptable to most games, the layout is minimal and unobtrusive of in-game interfaces. 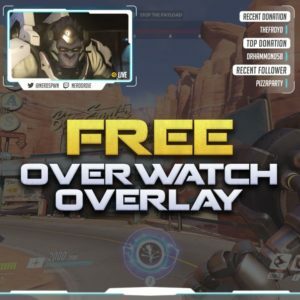 All animated elements will work within OBS, XSplit and other broadcast software. 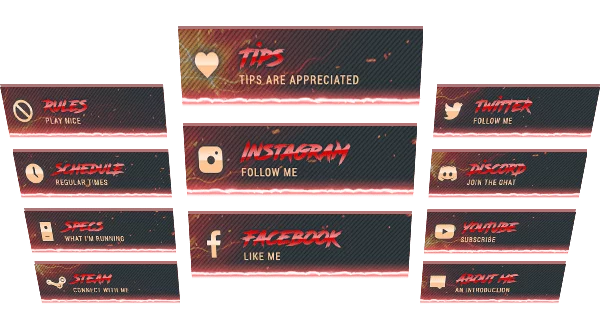 Social icons and panels are included to help connect with your audience through your social media and services including Facebook, Instagram, Twitter, YouTube, Steam and Discord. Please note: animated features will use more CPU. We have included non-animated files as well if needed. It is advised to not allow videos to play in inactive scenes, to save CPU. Please note that the alert pack is only available in English at this time. I love this package. However, I want to change the color of my alerts? Is this possible?